During the month of May WestVet is providing complimentary eye exams to qualified service dogs as part of The American College of Veterinary Ophthalmologists (ACVO® )’s 11th annual ACVO/StokesRx National Service Animal Eye Exam event. 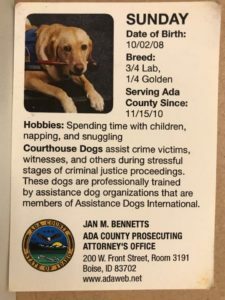 These exams are performed by Idaho’s only Veterinary Ophthalmologists, Carrie Breaux, DVM, MVSc, DACVO, and Amber Labelle, DVM, MS, DACVO. The American College of Veterinary Ophthalmologists is an approved veterinary specialty organization of the American Board of Veterinary Specialties that board certifies veterinarians as ophthalmologists. 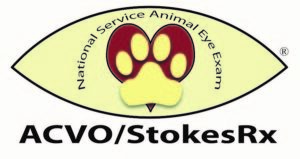 The organization developed the ACVO/StokesRX National Service Animal Eye Exam event in 2008, and since its inception, nearly 60,000 Service and Working Animals have received free screening eye exams — including approximately 7,500 in 2017 during the 10th Anniversary event. 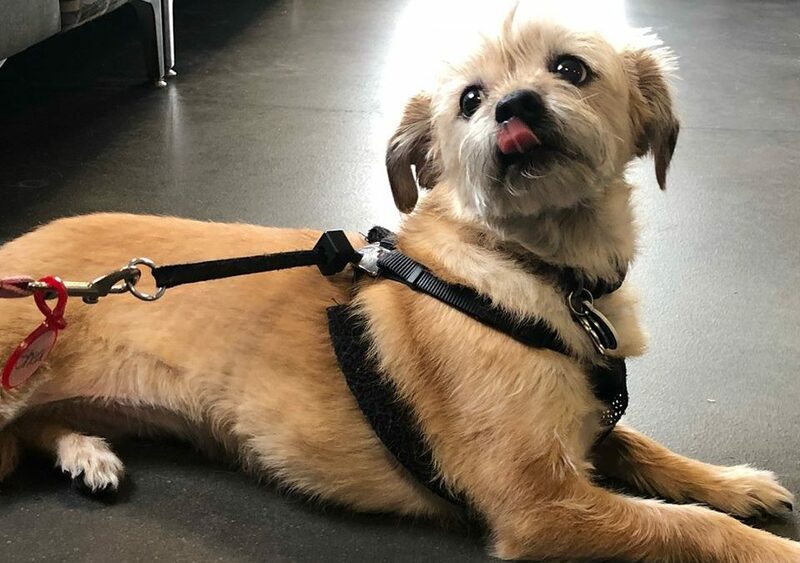 ACVO received a Veterinary Innovation Council (VIC) Innovation Award from The North American Veterinary Community (NAVC) in 2018 for the program’s success, innovation and its saving of Service Animal owners more than $2.6 million since 2008. This year’s event is sponsored by ACVO® and Stokes Pharmacy, as well as several generous industry sponsors. Participating ophthalmologists volunteer their services, staff, and facilities. About WestVet. 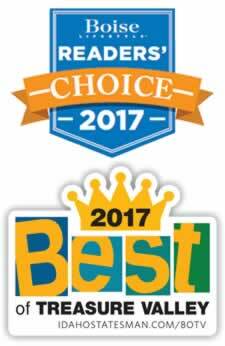 WestVet is Idaho’s only small animal emergency and specialty center. Located at the corner of Chinden and 50th in Garden City, the animal hospital remains one of the largest and most progressive in the Northwest. Our ophthalmology team is dedicated to providing the finest in veterinary ophthalmology services to clients, pets and referring family veterinarians. Specialists serve as an extension of your family vet’s practice by providing the highest level of ocular health care. About the American College of Veterinary Ophthalmologists.® The American College of Veterinary Ophthalmologists® (ACVO®) is an approved veterinary specialty organization of the American Board of Veterinary Specialties and is recognized by the American Veterinary Medical Association. Its mission is “to advance the quality of veterinary medicine through certification of veterinarians who demonstrate excellence as specialists in veterinary ophthalmology.” To become board certified, a candidate must successfully complete a Doctor of Veterinary Medicine degree, a one-year internship, a three-year ACVO®approved residency and pass a series of credentials and examinations. For more information, please visit ww.ACVO.org. About Stokes Pharmacy. Stokes Pharmacy is a national, full-service compounding pharmacy specializing in the art and science of the custom formulation of prescription medicines for humans and animals. Leading the way in innovation, Stokes invites veterinarians to prescribe compounded medications online securely, quickly, and accurately via iFill, a cloud-based prescription management system. For more information, visit stokesrx.com.